The National Alliance of Buy Here, Pay Here Dealers (NABD) serves automotive dealerships that employ a buy here, pay here (BHPH) methodology. The approach allows dealerships to extend a line of credit to purchasers who have poor credit history or who otherwise lack funds to buy a vehicle. DriveTime may be one of the better-known BHPH automotive dealerships, although most cities feature local varieties of the concept. BHPF fills a need within the consumer automotive industry. BHPH is a direct line of credit, and dealerships don’t want to give something (a vehicle) for nothing (a poor credit history). Because of that, dealerships seek new and improved ways to offer credit and collect on debt. The NABD meets that pursuit through its resources, trainings, and annual conference. 2017 marks the 19th conference, and it will be held in Las Vegas, Nevada toward the end of May. 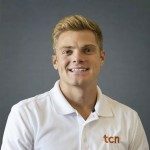 TCN joins the conference to discuss and learn about how technology and other trends improve sales and collections at buy here, pay here dealerships. TCN agrees with the perspective. Change is the only constant in business, and in life. TCN has seen that reality play out with customer service and contact center solutions migrating from on-premise to digital, or, the cloud. Businesses today, including BHPH automotive dealerships, must embrace those cloud-based solutions or risk losing out to the competition. Another aspect of the conference covers organizational efficiency and operating costs. Such matters interest every business, but they may receive greater attention from ones using a BHPH model. For those businesses and organizations, streamlined operations equal larger profit margins and steady cash flow. The conference intends to cover best practices and technologies that facilitate efficiency and reduce operating expenses. TCN celebrates that event track. Efficiency and cost are huge pain points that TCN enjoys solving for its customers. Through TCN’s cloud-based call center platform, BHPB automotive dealerships can achieve top-tier efficiency, increase profits, and decrease costs associated with customer service and collections. The NABD Conference runs multiple sessions on compliance and changes in regulations. Conference attendees can benefit from the session about the new AICPA credit loss measurement standard, which affects everything from loan commitments and financial guarantee contracts to debt instruments and lease receivables. The AICPA presents the new standard in a positive light, but the standard poses some confusion to buy here, pay here (BHPH) dealerships attempting to transition from the incurred credit loss mindset to the current expected credit loss (CECL) model. Speakers and financial professionals will help automotive dealers understand the new model and share ways to implement it. While the CECL model is still catching on, TCN is ready to empower compliance. It knows that call center compliance safeguards companies and ensures healthy communications and relationships with automotive buyers. For that reason alone, TCN stands behind the NABD’s move to help BHPH automotive dealerships navigate the latest regulations and standards. Can’t make the NABD Conference? Check out these related posts on the automotive industry and debt collections. And, if you’re ready to experience the cloud-based call center, request a demo. The TCN solution will enable timely communication, commitments to pay, and operational efficiency at your BHPH automotive dealership.